Photoshop Clipping Path Service is one of the popular image editing services in this digital world. It is also known as Background Removal service. Basically, clipping path is the process of removing the background drawing a line around the object by Photoshop and omitting the outer area. A clipping path can be applied in both sharp and soft edges. Clipping path is necessary at the first place if you want to remove the background or masking, multi path, neck joint, retouching and drop shadow. 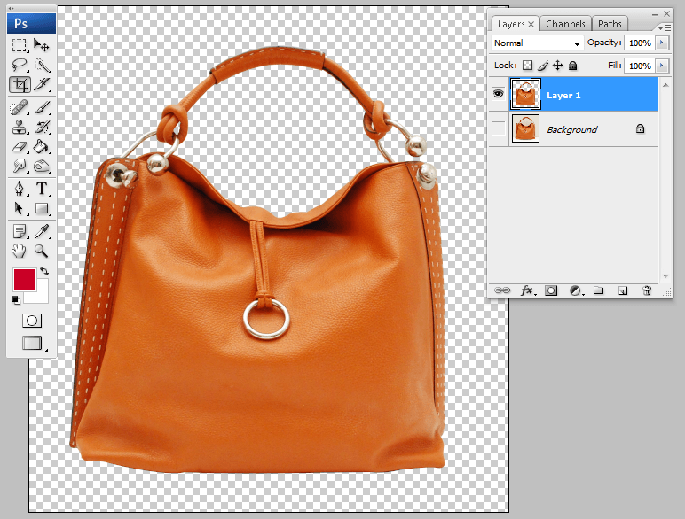 To be honest, Adobe Photoshop is the best software to do perfect clipping path service. 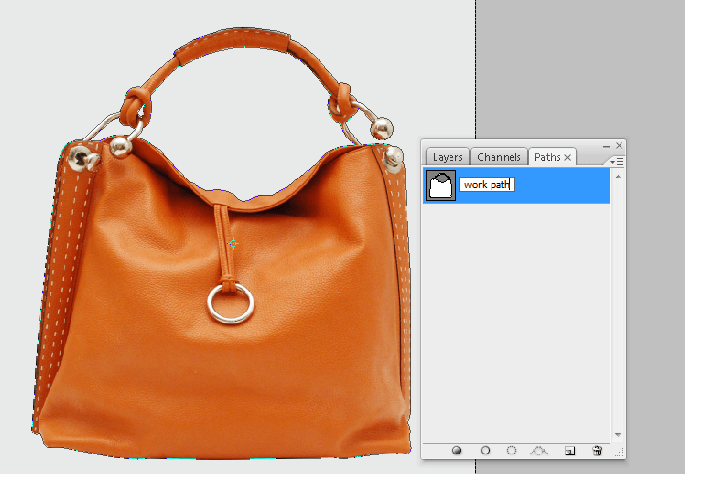 Our Clipping Path experts are able to draw all paths manually using only Photoshop pen tools. After drawing with Photoshop pen tool, the object created in the path remains intact while those appear outside the path gets erased giving fine edges of your photo image. Clipping Path Experts covers simple clipping path, compound clipping path, medium clipping path, complex clipping path and super complex clipping path. Our clipping path service company is working with world famous media, fashion houses, printing media, e-commerce agencies, professional photographers and other creative companies. If you are looking for best clipping path service, get a free quote before ordering. We have classified our clipping path services into 5 categories that are based on product photos, complexity or target products. We are also providing Layer masking, Alpha channel embedded, transparent masking etc as your requirement. Simple clipping path is generally applied in straight or rectangular product with no hole or a minimum number of holes. If you want to remove the background of a wine glass image, just apply a clipping mask around the wine glass image. As a result, you will get the entire background removed of the image keeping the object constant. Compound clipping path is applied mostly in the products which have few curves and a few holes. To remove the background of a compound image like a bag, you need to create a clipping mask and fill all the holes or loops by clipping path. As a result, the object will keep constant and the entire background will be removed. 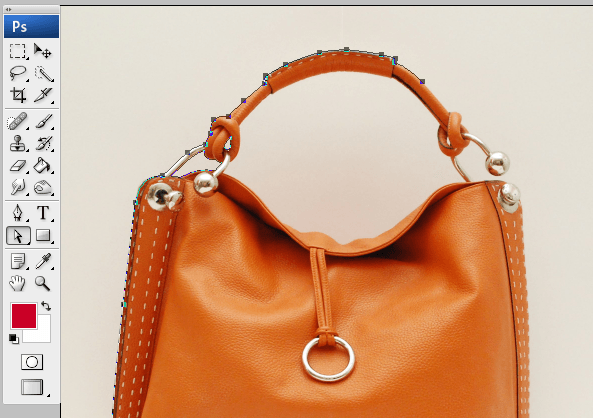 Medium clipping path includes multiple holes and multiple curves. It is generally harder than compound clipping path. If you want to remove the background of a medium image like an earring with multiple holes, you need to apply many anchor points. Create a clipping mask adding the anchor points around the earring. Then you have to create path on the holes. For multiple holes, create multiple paths on the holes. That is how you will get the entire background removed. Complex clipping path service is applied in the products which are detailed and not so solid. As an example, a neckless is a complex product. A high number of anchor points are used in a neckless. Cause, necklesses usually remains long and having a large number of holes. Our complex clipping path service helps you to remove the background of any kind of complex product. It is also applied to various products such as chain, furniture, bracelets, jewelry, etc. Super complex clipping path is usually applied on giant products with double holes. It is used in different type of complicated designs like fence, zigzag, cross designs etc. It is applied in various products like chains, nets, cycles, dolls etc. Suppose you want to remove the background of a cycle. You have to add many anchor points and fill up all the holes of the cycle. We, Clipping Path Experts provides quality Photoshop image editing services. CPE is the best place to get best clipping path service. We focus on quality work and customer satisfaction. We provide all kind of image editing services manually. From the following key points will help you to get right decision. If you want further information about our working process, payment gateway and others, go to FAQ. Since, to isolate background from a photograph sometimes may need as a massive requirement in your industry so you have to know how to illustrate a clipping path around the specific portion in a picture. Now we will learn how to draw a simple clipping path by following some steps below. 1. When you want to make a vector path must open the file with Photoshop application what you like to use during art work in computer. For windows you can cntrl+O and if you use Mac press Cmd+O. 2. Before starting path you should duplicate (cntrl+J for Windows or cmd+J for Mac) the photograph for extra safe from any damage. Now you can start your main work pick the Pen Tool from the side bar of the program. Simply you can by pressing cntrl+ P (windows) or cmd + P (Mac). 3. 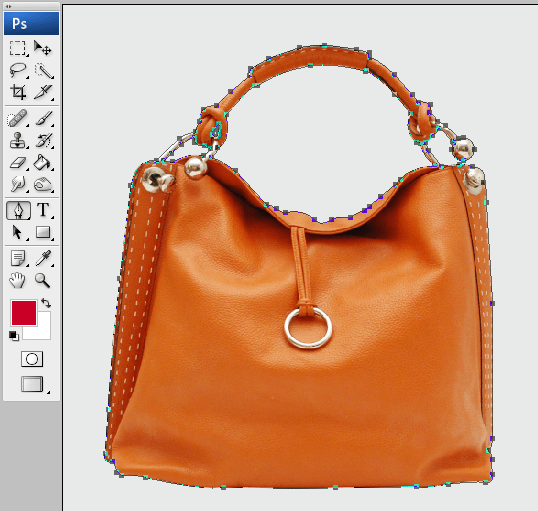 Now you can start Clipping Path outside the object what you want to select within a vector shape. After some distance you keep drawing a curve with the Pen tool and keep it up whenever all around the element don’t be selected with the curves. When you reach at starting point you have to close path adding this point in the last click. 4. Let you check some are missing to make a path. So you also create another several shape for all the missing areas just like a small loop into the photographs have to be done so that you can exactly remove the background. 5. After going above steps you will come at the point to isolate background at least. Now you have to apply clipping path process to extract background from the photographs. 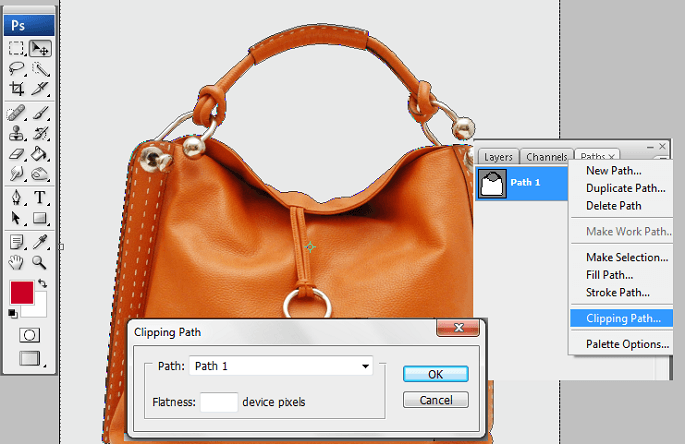 To apply the path command go to path section of layer pallet and click twice to change the name as work path. If you don’t change the path may not save for future work. 6. While clicking twice on the path pallet you can see a pop up menu in front of you let change name into work path and what you want. There is some adjustment you can make about softness when the edge will look very soft tune it for better result otherwise avoid it. 7. At least you have completed drawing path just now you can remove background simply go to “Paths” of the layer palette and press Ctrl or Cmd with clicking “work path” layer. 8. Now select the background layer and press Ctrl+J the object will be placed itself with a new layer in a transparent background.